24-7 response to any sewer backups or water emergencies. How do you know what to do when you have a sewer back up? Or, when you suspect or know you have a leaking pipe? How can you prevent sewer pipe issues in your home? 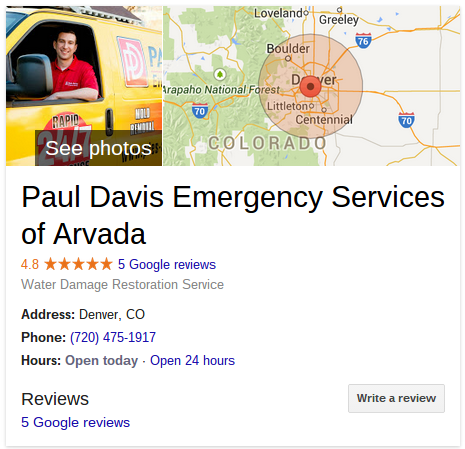 In this video Jeff Diem, owner of Paul Davis Emergency Services of Arvada, and Mike Nichols owner of Go Direct Sewer and Water ( http://go-direct-sewer-and-water-services.com/default.aspx ) discuss how you can save a ton of money with a little maintence on your sewer pipes, or what do do if you alrready have an issue.